This article is about one of those successes we can all appreciate. It as much a success story about Kipware® software … as Kentech Inc.’s product support … as personal triumph on display because of hard work and determination. Here’s the story … as briefly explained as possible without leaving out the important details. It all started with an email from a potential customer in Pennsylvania who needed to create G code programs to machine a workpiece that a previous supplier had stopped producing. 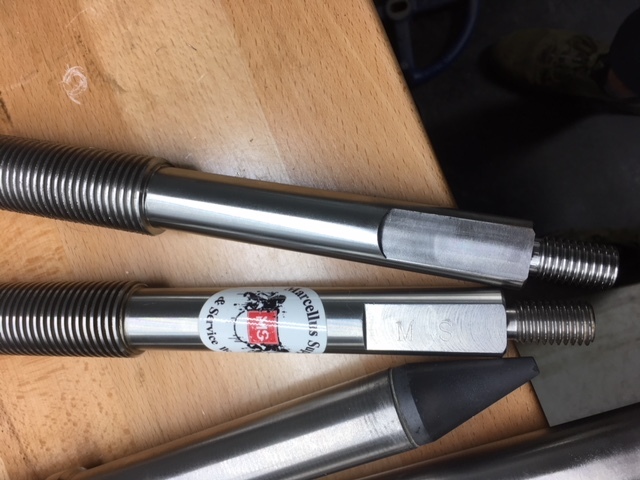 The client supplied us with a print and inquired if our KipwareT® software had the capabilities of creating the G code required to machine the workpiece complete. Along with the email came the comment “we are not machinists”. We explained that KipwareT® had all the features to create the G code programming … so they made the purchase. After some initial questions and then some additional in-depth discussions … it became clear that the client needed some serious support … and that they really needed to get the part up and running. We love to help so we decided to go into full support mode and lend a hand … anything we could do. 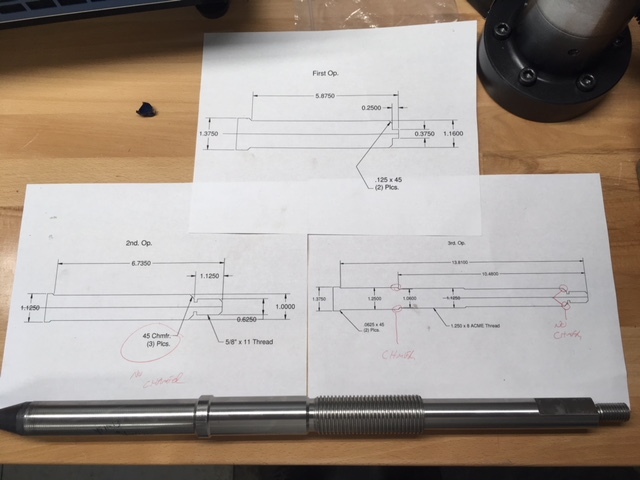 With no machining strategy in place … and the part being quite long and requiring multiple set-ups … we first developed CNC specific part prints … along with a recommended machining strategy. Below is a glimpse of the part to be created. We operate our CNC consulting and mentoring services using the “teach a man to fish” philosophy. In other words … yes we could write the program for you but it’s better if we work together … and have you create the program so you will understand all of what is happening. Better training … better for future programming … better for set-up and running the parts. Once the prints were approved … we decided on a machining strategy. The parts would be machined on (2) Mori Seiki lathes with live tooling … tailstock … Fanuc control. First op … machine the shaft shown above in the top print … pretty straight forward. Facing and rough / finish turn the OD … groove the OD. We sent screen shots of the KipwareT® screens and the client followed the instructions and created the G code using KipwareT®. Loaded the program into the machine … followed our assistance in set-up and tool touch off … and ran the first op with good results. Nice job guys!! They really worked hard … listened to our instructions … and grew leaps and bounds along the way. Second op … on machine #2 … leave some of the material swallowed in the chuck and machine to the print on the left side above … rough turning, finish turning, grooving, threading, mill (2) flats. We agin sent screen shots of the KipwareT® screens … and using all the experience gained in the first op set-up were able to get the second op off with good results. Third op … still on machine #2 … move the stock out and using the steady rest for support … machine the remainder of the part … rough / finish turn … groove the OD … and thread the ACME thread. Again … the client was great and the result was a finished part all to spec and ready for production. The start of the production run .. 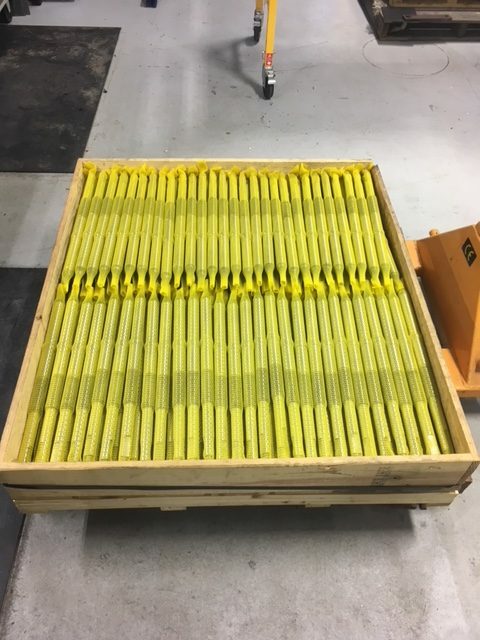 Completed pallet of parts … a complete production run !! When the client got to start the 3rd op. … they discovered that the turret was out of alignment. After further investigating … they found out that the turret was crashed in it’s previous life. Well … good thing I was a Mori Seiki service tech in my earlier life and have blogged about such things. Using a CNC Machinist Blog post from March of 2016 … http://kentechinc.biz/cnc-turret-alignment-tips-and-tricks/ … and a little additional consulting they were able to perform the service and re-align the turret. I’m telling ya … these guys are good !! The client was in a real bind needing these parts and put the hours and effort in to get it up and running. And we were right there. Days … nights … on the weekend … we supported the client whatever and whenever it was needed. KipwareT® is great tool for both beginner and experienced CNC programmers. KipwareT® can handle a variety of turning operations … all conversationally … from facing to rough / finish turning to grooving to standard and ACME threading. KipwareT® was created by REAL MACHINISTS for REAL MACHINING and we have the EXPERIENCE to back it up. Our product support is unmatched in the industry. 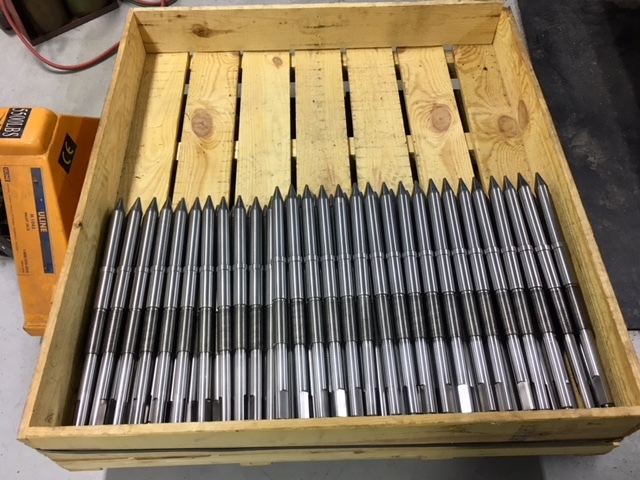 We could tell the client was in a real bind and needed some help so we stepped up to the plate … and since we are REAL MACHINISTS we were able to assists in many ways. From programming to machining strategy to set-up to machine repair. YOU REALLY CAN DO ANYTHING if you put your mind to it. These guys worked so hard and really put in the effort … an example to all … and the end result was complete success. If you are ready to STOP THE CAD/CAM OVERKILL … are in the market for shop floor programming to handle your everyday CNC programming … we invite you to explore Kipware® conversational. Kipware® was created by the REAL WORLD for the REAL WORLD … using real shop floor experiences and ………. IT SHOWS !! If you are tired of limited, underdeveloped “wizards” developed and created by non-machinists … it’s time to step up. If you’re tired of support people who don’t know or really don’t understand machining … CNC machines … production … it’s time to step-up. If you are in the need for support … consulting … or mentoring services …CLICK the image below. Thanks for taking the time to read our story … and for considering Kipware® software.